welcome to my page! Great to have you here! 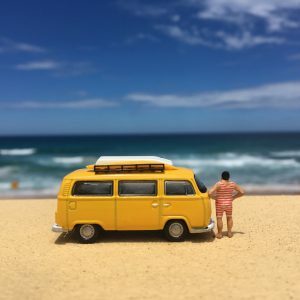 I am the „happy Camper“ and tour the world in my tiny home, my yellow VW T2 bus (or Bulli). I travel very sustainable and don’t want to leave any footprints, the only thing I want to „take“ is: good photos. 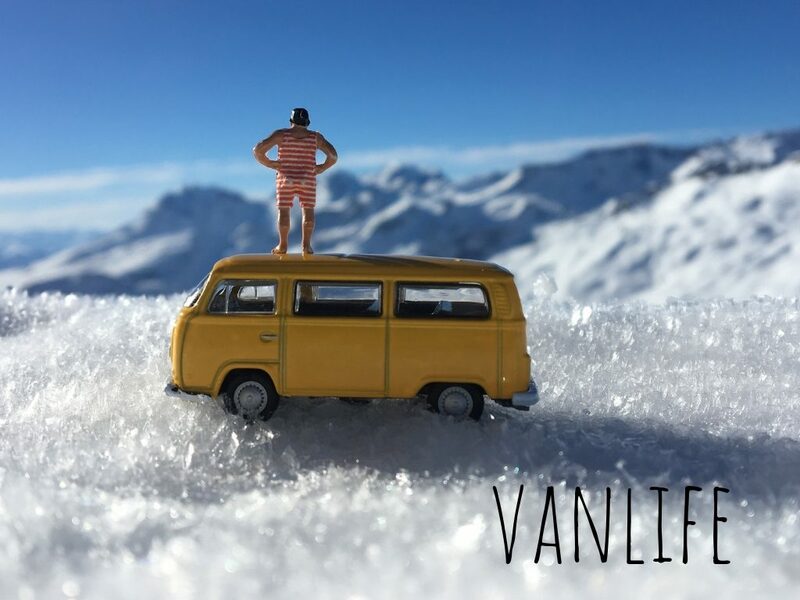 In the last few years I have gotten around quite a bit, and I have started to share my vanlife journey & my micro adventures. I am excited that you came to have a look and would love to connect with you….and maybe meet somewhere in real world! Have fun browsing my site. Stay cheeky, safe travels, and loads of happy outdoor adventures. 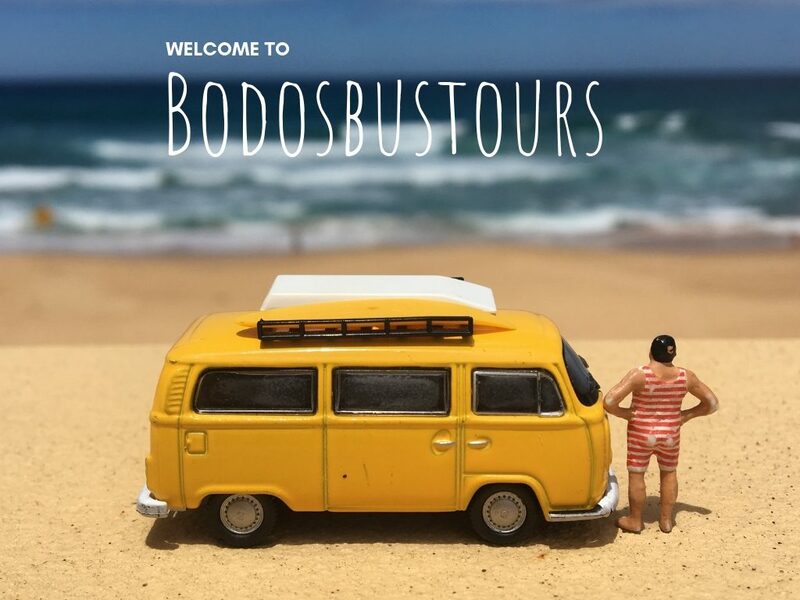 See more & follow us on Instagram @bodosbustours ! In case I have a bit of spare time I also blog. I started out by taking a panorama image plus a macro image. You should start with the panorama image and enjoy the view….and then search for me. I’m on every single image in this blog. The look at the macro image, it will give you a hint as to where I am. Have fun. To see many more posts in my blog click here. 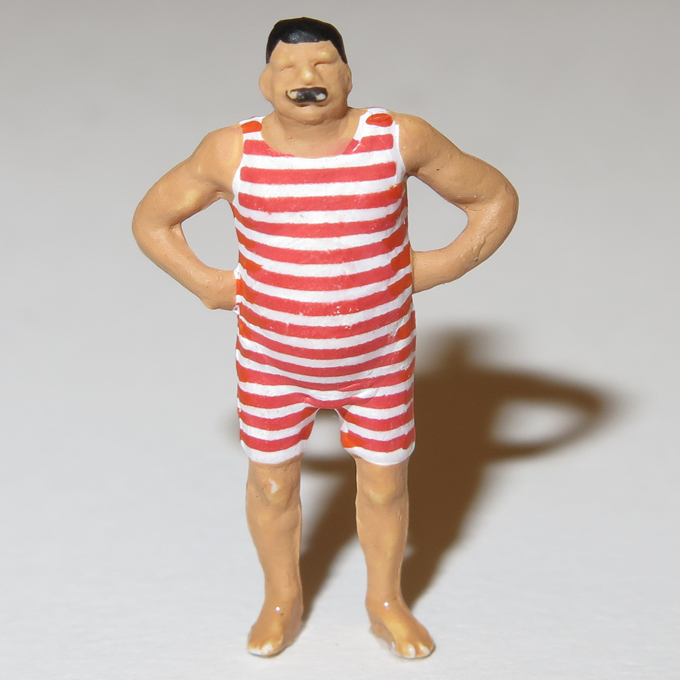 Bodo is about 2cm tall. In the model railway world that would be size HO or scale 1:87. Yes, all photos are 100% real. No photoshop. All original. That is me – Suse. I am behind the camera. I studied Graphic Design and have several design, branding, communications jobs around the globe. I love to travel, to take photos, write, to layout, therefore Bodo is a small creative project on the side. Mainly an iPhone. Sometimes I use my Powershot from Canon. No, too much to carry. 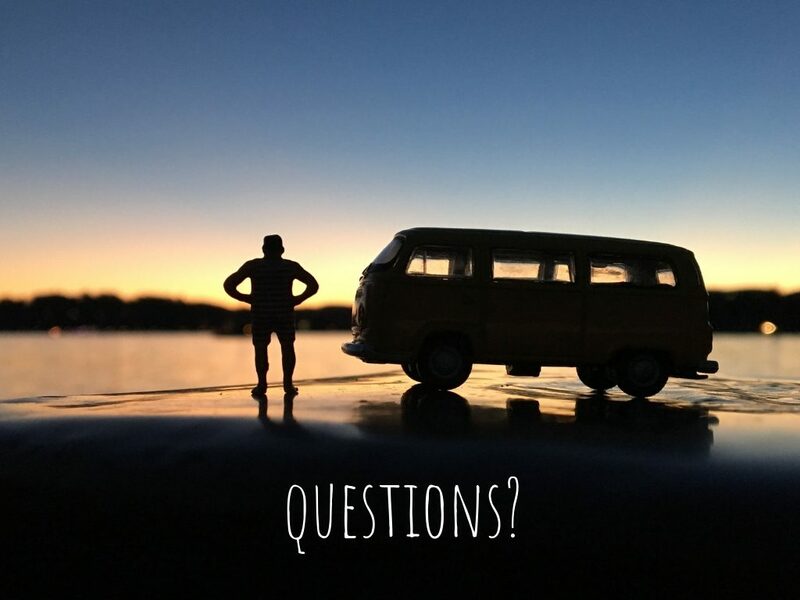 DO YOU PLAN TRIPS & PICS? I do plan the trips a bit, but not the photos. They always emerge very spontaneously on the spot. As I take all photos myself, I am also the owner of the copyrights. If you want to use an image, just ask. Sometimes images emerge on private property, then I ask the owner for a so called “property release”. WHERE DO GET THE IDEAS? I always loved to travel and to take photos. As I do travel a lot by myself I decided to take a travel buddy along. As everything has been photographed already, I decided to take a new perspective on things: the macro perspective. I am photographer by heart, but not by education. It is a passion and not a job. CAN WE BOOK BODO AND YOU? To be honest: you may invite us to take a few photos together, but our focus is on traveling and inspiring others and not on making money with this. But go ahead and ask us! IS THERE A PRINT BOOK OF BODO? At this point in time there is no printed material available. We are thinking of creating a small book and some postcards. Please stay tuned, we are working on it. WHERE IS YOUR TRUE HOME? On the one hand, we live south of Munich #munichandthemountains , on the other hand we live in Sydney #sydneyandthesea …..but feel home in-between as well. No, not really. We don’t earn money with this. But Preiser for example supported us with a few new Bodos. This is our tiny home. It is an oldschool T2 Volkswagen campervan. We love every bit of it. It is perfect for any micro adventure or to explore the entire world. Home is where we park – and that has been at some insane places.